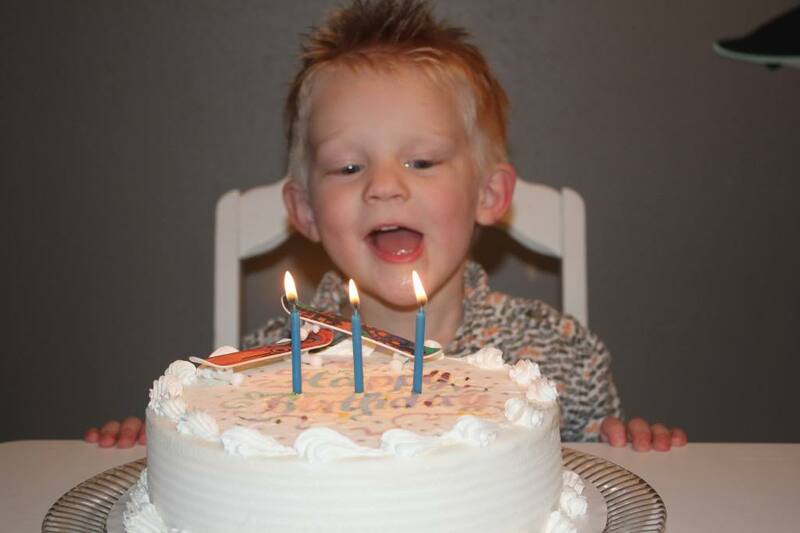 A few months ago Benton and I started talking about his birthday party. For a while he wanted a tool party. We picked up some hammer and screwdriver cookie cutters and started planning the party. Then out of the blue Benton changed his mind and wanted a scooter party, and then soon after added skateboards. Since the yogurt bar was such a hit at Emmett's we decided to have it again, that way the kids can eat something that is somewhat healthy before stuffing their faces with ice cream cake. Seriously how awesome is ice cream cake anyway, so much easier than making a gazillion cupcakes. 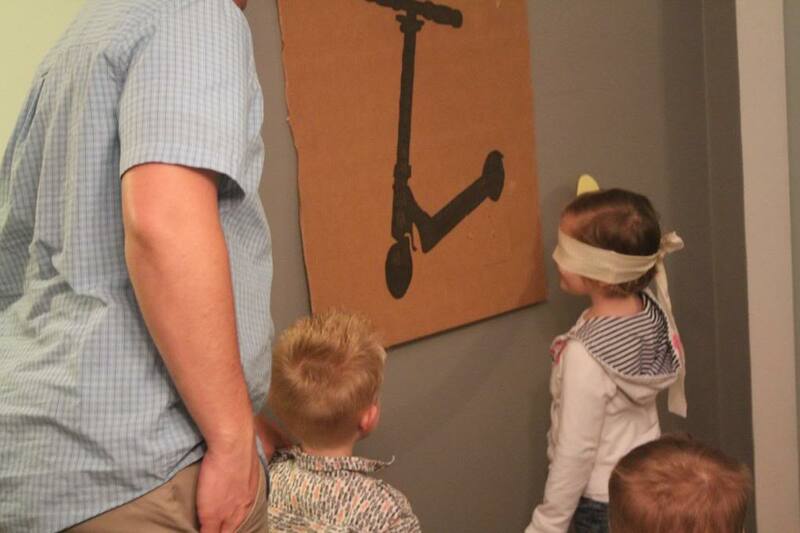 We played pin the wheel on the scooter. I had an idea of playing musical scooters.... but then I pictured what a bunch of three year old's running to get the last scooter would look like, and that's why we didn't play it! haha. Benton picked out his cake at Dairy Queen. He wouldn't even let me show him any other options after he saw this cake. 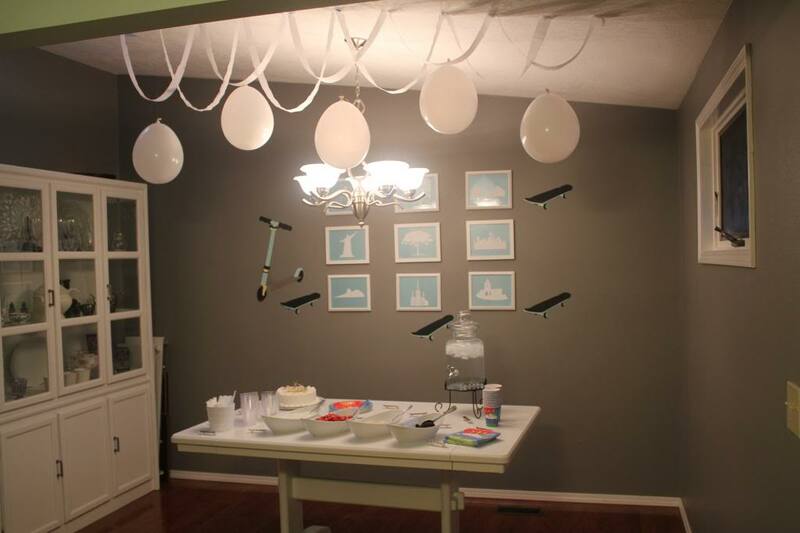 It took all the restraint he had to wait until his party to put the skateboards on it. He loved his cake, and skateboards. I love this last picture. 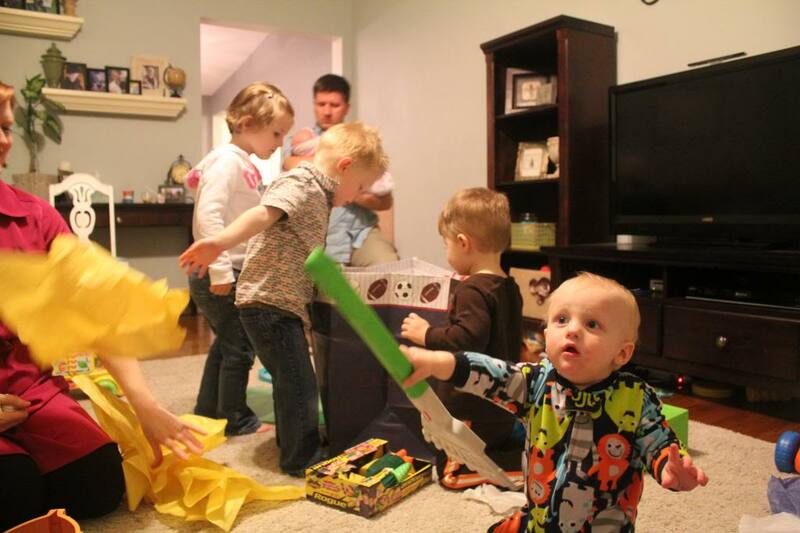 Benton and the other kids are anxiously looking into the bag to see what the next present will be while Emmett sneaked over and found the pile of previously opened presents. Way to go Emmett! And happy birthday Benton!